Warning! Sorry, property # 591 unavailable now! Luxury. Elegance. Beauty. Do these words mean anything to you? If so, prepare to step into 429 Bertram, an absolute fairy-tale of a home. This single-family central-hall Colonial house, built in 1998, maintains a royal and majestic presence on its 10,500 square foot lot, completely surrounded by lush, gorgeous nature and breathtaking views. The lot is stunningly accentuated with fully landscaped and fully paved grounds, along with a two-car garage at the end of a beautifully paved drive-way, illuminated at night with spotlights. 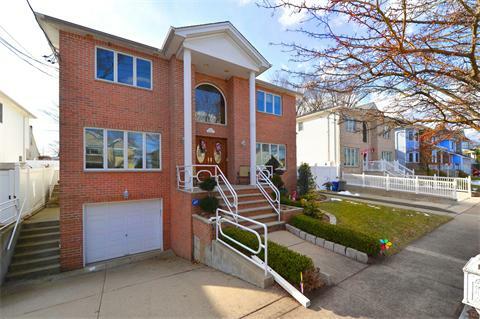 The house, fully renovated in 2016, boasts an impressive 3,600 square feet, spread across 2 floors (with 4 bedrooms and 4 bathrooms) and several massive outdoor areas. Let’s step inside. 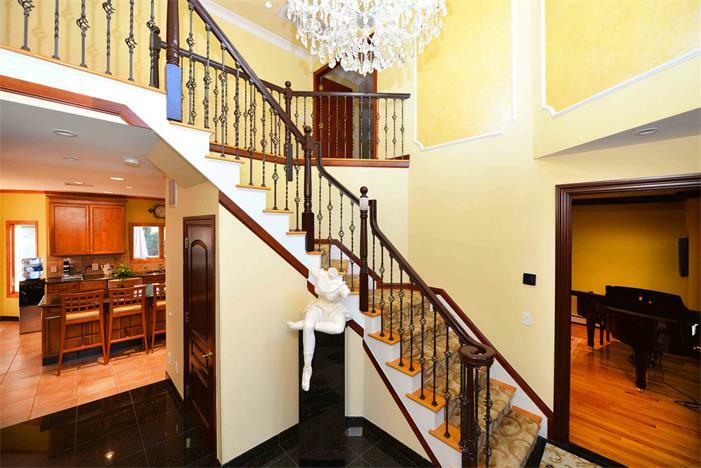 On the first floor, prepare to be swept off your feet by the two-story grand foyer with a gorgeous radiant-heated black-granite floor and a fully-motorized LED chandelier; a tasteful, elegant design that is both classical and modern. Beautiful hardwood floors, cherry-wood doors, crown moldings, vaulted ceilings, and bay windows create a stunning visual and color palette blended with bountiful rays of sunshine that pour in and fill the place with light. Expect total and complete comfort no matter what the weather with a 7-zone heating and air-conditioning system; also take advantage of the central-vacuum system for all your cleaning needs. Further in the first floor is an office, a half-bathroom, and a massive dining-room and living-room combination. Step into the granite-tiled gourmet Island kitchen, easily fit for a 5-star chef. The kitchen, which is paired with an adjacent off-set dining area, boasts an absolutely gorgeous modern metallic and wood design, along with cutting-edge commercial-grade appliances, including those from Sub-Zero and Viking. 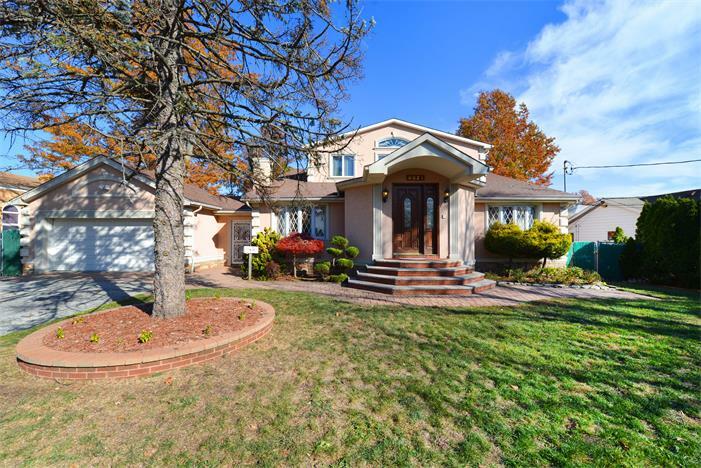 Finally, on the first floor is the beautiful and massive two-story family room that is perfectly suited for absolute relaxation with its very own fireplace. On the 2nd floor, indulge in a royally massive master bedroom suite with a private bathroom, which includes both a Jacuzzi and shower. The master bedroom also comes complete with his-and-hers walk-in closets, a powder room, additionally there are three more bedrooms including, two kids bedrooms, which are paired with a full-size shared bathroom. The house also includes a fully-finished basement. 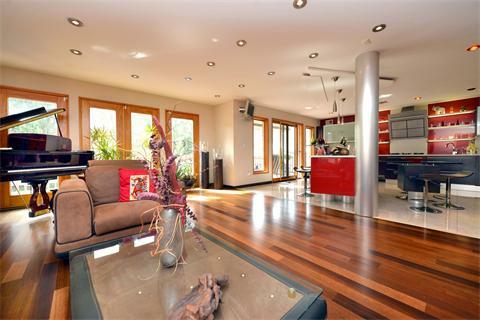 There you will find a beautiful modern European-style kitchen (including an electric stove). Also in the basement is a sauna and steam room, along with a Jacuzzi, full home theater, and a pool table; the ultimate set-up for family time, recreation, and relaxation. Now let’s step outside into the resort–style backyard (accessible through both 1st floor and the basement); get ready to be blown away by the massive private gated yard, which is paired with a 2-level outdoor deck, with its very own heated in-ground pool, BBQ station, and hot tub, the perfect spot to unwind all year round. So now that we’ve been here together, the words luxury, elegance, and beauty are no longer just that; they can become a lifestyle for you and your family. You would be remiss not to take this chance to live in an absolute castle of a home, a fairy-tale house that kings and queens can only dream of! 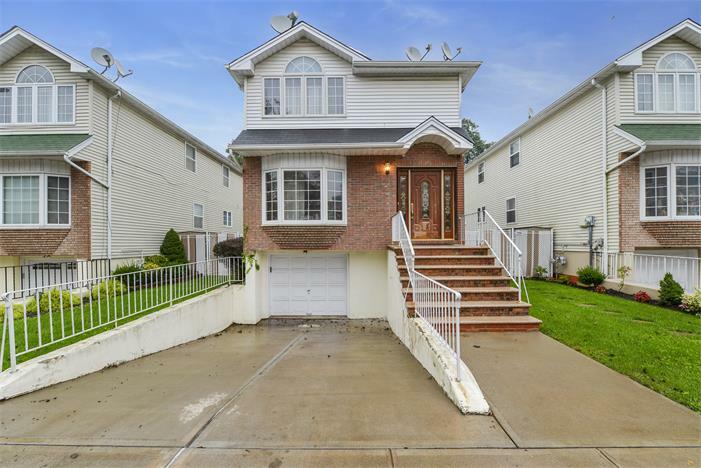 Please call AmeriHomes Realty at 718.447.2626 to schedule a showing today.